Join industry colleagues at SHIPPINGInsight 2019 to gain clarity on the pathway ahead. Meet with solution providers who will help not only maximize the potential of your business, but help you get in front of the demands being placed on industry, and society, today and in the years to come. 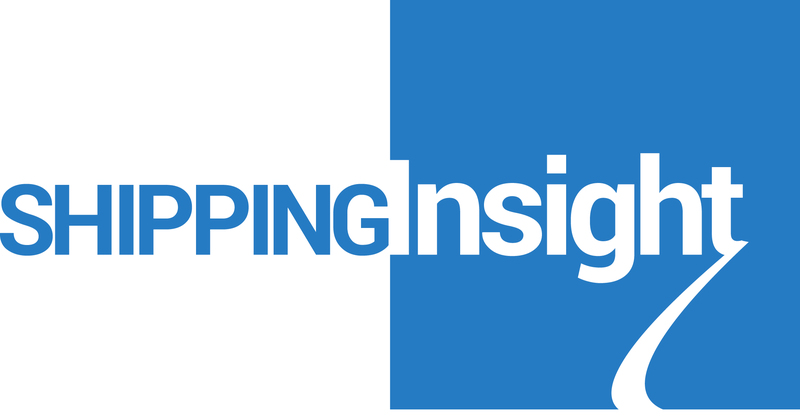 Established in 2012, SHIPPINGInsight is a multi-pronged industry engagement platform focusing on fleet optimization and innovation to support the maritime industry as it experiences accelerated change. 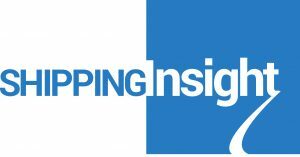 In addition to a weekly news/opinion outlet, the signature feature of SHIPPINGInsight is its annual fleet optimization and innovation conference held in October in North America. The event provides a forum for shipowners and solution providers to exchange ideas and discuss challenges in facing the transformation of the industry. The 2019 event is taking place Oct. 15-17 at the Hilton Hotel in Stamford, Connecticut. Green Marine is heading to Cleveland, Ohio, for its 12th annual conference. 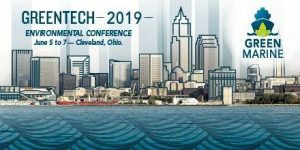 GreenTech 2019 will take place at the Westin Cleveland Downtown Hotel, from Wednesday, June 5 to Friday, June 7. As always, there will be expert knowledge, actual experience and best practices shared, along with detailed information about innovative sustainability initiatives and great networking opportunities. As every year, GreenTech 2019 will hold a commercial exhibition. 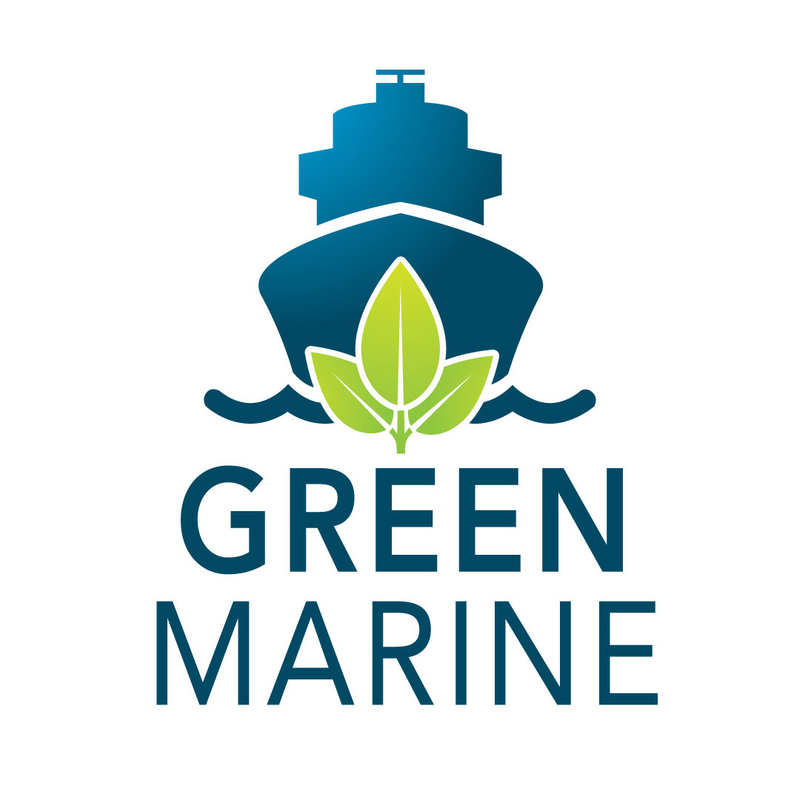 The Green Marine conference has earned an enviable reputation for showcasing the latest sustainability technology and innovation for the marine industry. As a result, it has become the key event to convey efforts and advancements in marine transportation sustainability to a keenly interested group of attendees. 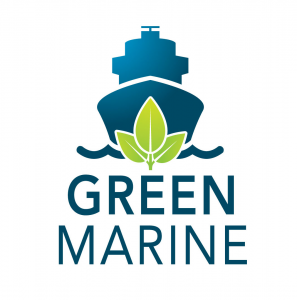 Green Marine will also present recent, current and/or proposed scientific research focused on improving the shipping industry’s environmental sustainability to display in poster form at GreenTech 2019’s exhibition. Don’t miss it! GreenTech’s relevance makes it the essential gathering of the year for everyone involved or interested in improving maritime transportation’s environmental performance. 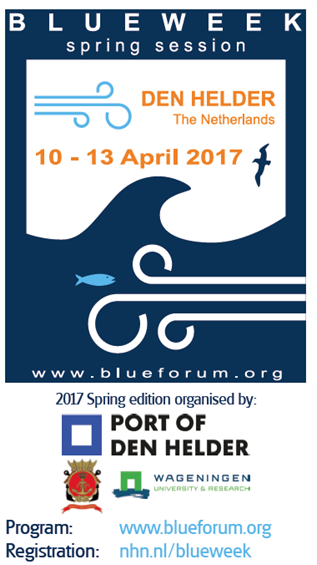 The next port of call of the BlueForum is the home town of one of the most important climate agreement milestones! More than ever, collaboration between all stakeholders in the maritime industry are needed to realise a necessary and ambitious energy transition. As usual, the Natural Propulsion Seminar takes place during Blueweek and will be co-chaired by IWSA and MARIN. 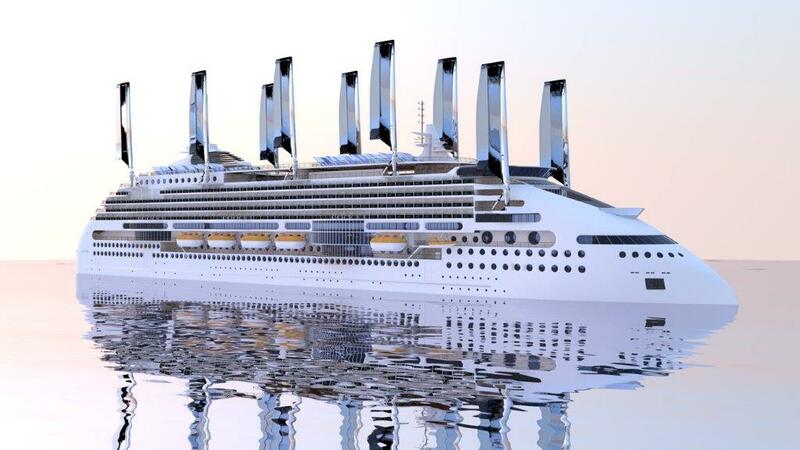 This brings together wind propulsion and other alternative natural and renewable energy solutions. We will be holding the IWSA AGM at the same venue as the Natural Propulsion seminar above. We will hold the AGM in the morning and then have Wind Propulsion Hub meetings for the IWSA Europe Atlantic and IWSA Europe North Sea and Baltic groups. NOTE: Please send your agenda points and proposal to the secretary no later that end of April. Join us for a conversation about the growing trend of wind propulsion in commercial shipping and pathways to decarbonize this global industry. 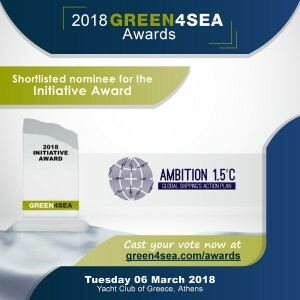 The line-up will feature talks by the Secretary of the Award-winning International Windship Association (www.wind-ship.org) and a senior researcher from the International Council on Clean Transportation (www.theicct.org) on the emissions reduction potentials of wind-assist technologies for ships. Plenty of time for debate and discussion, along with refreshments. This is a free to attend event but there are limited spaces available – please contact Gavin Allwright secretary@wind-ship.org to reserve your spot. We will need your name, organization/position and contact cell phone. Join us for a conversation about the growing trend of wind propulsion in commercial shipping and pathways to decarbonise this global industry. The line-up will feature talks by the Secretary of the Award-winning International Windship Association (www.wind-ship.org) and Wind+Wing Technologies (www.windwingtech.com) on their innovative wingsail designs. Plenty of time for debate and discussion, along with a finger buffet and drinks all aboard the Adventure Cat, rated one of San Francisco’s “Must Do” activities to see the Golden Gate Bridge and surrounding sights. Now in their 28th season, Adventure Cat takes over 40,000 guests a year on their custom built catamarans for unforgettable sight-seeing excursions, and sailing 95% of the time on the power of the wind! This is a free to attend event but there are limited spaces available – please contact Charlie Bogue charlie@windwingtech.com or Gavin Allwright secretary@wind-ship.org to reserve your spot. We will need your name, organisation/position and contact cell phone. Time: 1630 meet, Cast off at 1700 – don’t be late! We look forward to welcoming you all aboard. Join us for a conversation about the growing trend of wind propulsion in commercial shipping and pathways to decarbonize this global industry. The event will be hosted by Port of Vancouver on Wednesday 27 March, 1400-1700. The line-up will feature talks by the Secretary of the Award-winning International Windship Association (www.wind-ship.org) and the locally based CEO of Dasivedo Design (https://dasivedo.com) on their innovative Tig Rig retrofit designs. Plenty of time for debate and discussion, along with refreshments. 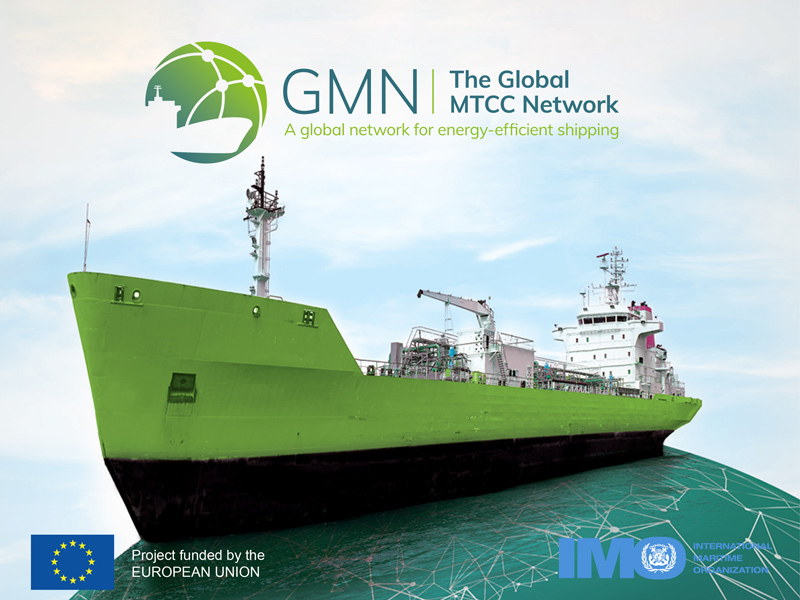 02-04 April – CMA 2019 – Gavin will be attending all three days of the CMA 2019 conference in Stamford, Connecticut.https://maritime.knect365.com/cma-shipping/. 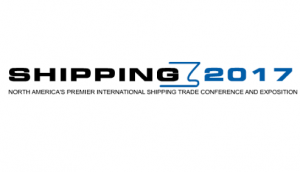 This is the largest shipping conference in the US, and IWSA is also proud to be an official supporting organisation. He will also be on one of the panel discussions on Second Day, regarding alternative fuels and propulsion – focusing on decarbonisation pathways. 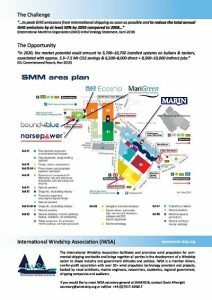 05-07 April – San Francisco Boat Show – there will be a number of short IWSA talks on all three days along with our local member Wind + Wing, who will also have their trial rig on show and booth there. We will also be arranging an informal dinner for all who would like to come down and join us! 08 April – IWSA Seminar at California State Maritime Academy – reserved for students and staff. 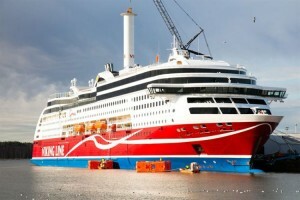 09-11 April – Miami Cruise Conference – Attending the Seatrade Global Cruise conference in Miami https://www.seatradecruiseglobal.com/ – Gavin will be on panel for the Environmental discussions on the morning of 09 April. Green Ship Technology and Shipping2030 Europe 19-22 March, Copenhagen. The IMO’s ambitious carbon reduction targets, announced at MEPC72 in April, mark a sea change in the industry. With our sights set on 2050, the GST agenda for 2019 will tackle the issue of climate change and decarbonisation of shipping with topics including energy efficiency measures, alternative fuels and propulsion methods. This year has also seen an unprecedented level of global interest in the future health of our seas and oceans – with concerns focussed on the oceans plastics crisis. The conference refreshed programme will take a wider look at the environmental impact of the shipping industry, from combatting the spread of bio-invasive species, to waste management and ship recycling. Of course we are not losing track of the business-critical insights still needed to meet the requirements for the IMO’s BWM convention and 2020 Sulphur cap – as we see 16 years’ of GST discussions finally becoming a reality. 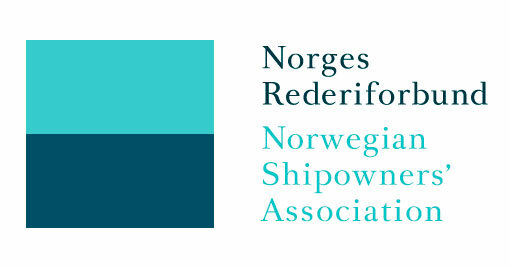 IWSA Official Supporting OrganisationSubmissions are now invited for the 2019 GreenPort Cruise & Congress, hosted by Port of Oslo from 15-18 October 2019. Companies, organisations and individuals are invited to put forward a 250-word abstract by 11th January 2019. Invitations to members of the press – this press event will have a number of presentations from IWSA and members and will focus on latest developments in the wind propulsion segment and news of the development of the wind propulsion hub for the North Sea and Baltic region. A light lunch and refreshments will be provided. 13th November – Wind Propulsion Hub Core Team Roundtable – hosted by MARIKO at Hochschule Emden Leer, 1200-1430. Discussion on establishing the hub for the North Sea and Baltic region. Inivitation event. Future-proof your business. Harness innovation. Stay ahead of the curve. Shipping2030 gives attendees new strategies to prepare for digital transformation integration within the shipping sector. Co-located with Global Liner Shipping where 100+ leaders and innovator will discuss new trends in digitalization. The Motorship’s events are changing to reflect this shift, and to take advantages of emerging synergies in discussions around propulsion and alternative fuels. For the first time in 2018, the long-standing Propulsion & Emissions Conference will be run alongside Gas Fuelled Ships Conference, under the new banner of The Motorship Propulsion and Future Fuels. 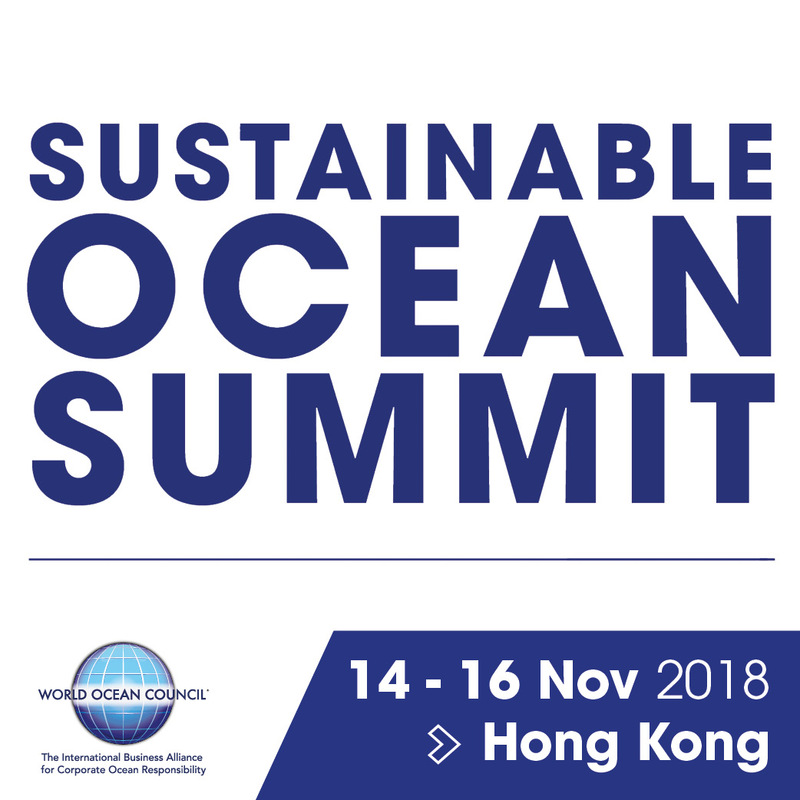 The 6th Sustainable Ocean Summit (SOS), organized by the World Ocean Council (WOC), will take place in Hong Kong, 14-16 November 2018 around the theme: “Ocean Sustainable Development – Connecting Asia and the World” and with Mr. Kenneth C. K. Koo, TCC Group Chairman and CEO, as Conference Chair. Over the years, the SOS has become the premier forum for advancing industry leadership ocean sustainable development, science and stewardship. 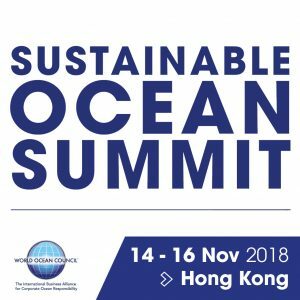 The global ocean business community will gather at SOS in Hong Kong – leading a global maritime hub for Asian shipping – to tackle the critical industry challenges facing the growth of the sustainable Blue Economy. This year’s Summit, organised by the World Ocean Council, has been given the theme of ‘Ocean Sustainable Development – Connecting Asia and the World,’ and will provide a platform for leadership companies and organisations to advance the development and implementation of industry-driven solutions for ocean sustainability challenges. Select the Non-Member Delegate option and click on “Get Tickets”. A pop-up window will appear. On the right-hand side of this registration window, you can enter the following discount code (don’t forget not to add any space before or after the code, it might not work if you do). Click on “Continue” and finalize your registration. Shipping2030 North America is back, this year at the Intercontinental Times Square. Co-located with Green Shipping Technology North America for a second year in a row, join us as we discuss business strategies, trends, technologies, processes and projects transforming ships through digitalization. Green Ship Technology North America is back, this year at the Intercontinental Times Square. Co-located with Shipping2030 for second year in a row, join us as we discuss regulatory compliance, sustainability strategies, new trends and technologies plus lessons learnt from across the supply chain. Following a successful launch last year, CruiseConnect is back! On November 5th, Cruise industry leaders will gather together to discuss issues of critical importance to the industry, such as crew supply, specialisation of service, smart recruiting and training strategies and much more. The 14th GreenPort Congress hosted by the Port of Valencia will focus on profiting from green initiatives. With representatives from all port stakeholders in attendance, the conference offers unprecedented opportunities for networking and for the exchange of information and ideas. Environmental managers, planners, harbour masters, logistics managers, energy managers, sustainability and Corporate Social Responsibility executives from ports, terminal operators, shipping lines, shippers, logistics companies and other industry stakeholders will come together to learn, discuss, debate and network at the two day Congress and it’s associated social events. These include an evening Welcome Reception and Gala Dinner. A tour of the Port of Valencia will take place on day three. Last year more than 200 port professionals representing 30 countries and 90 ports, terminal operators, shipping lines, shippers and logistics companies attended the GreenPort Congress. Lloyds Maritime Academy presents Electric & Hybrid Propulsion Seminar, a two part event analysing the business case for hybrid propulsion, fuel cells and battery technologies across commercial fleets. 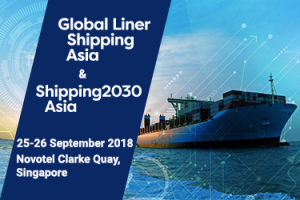 Shipping2030 Asia will bring together over 250 industry professionals to discuss everything in digital, including leadership, technologies maintaining the bottom line, new partnerships driving collaboration in the supply chain, ROI of digital innovation and much more. Co-located with Global Liner Shipping Asia, the event will give delegates access to a wider audience and extended networking. Global Liner Shipping Asia is the strategic summit for the Asian container shipping industry. Over 250 attendees and 60 expert speakers will analyse the DNA of business strategies and models, mergers and acquisitions, market consolidation and industry collaboration. 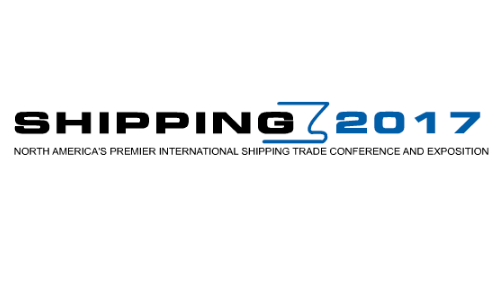 Co-located with Shipping2030 Asia, the event will give delegates access to a wider audience and extended networking. There will be five IWSA members at this year’s SMM 2018, 4th-7th September – one of the largest shipping events in the world. This is a great opportunity to meet and learn more about wind propulsion technologies, windship projects and the technical side of these low carbon solutions. 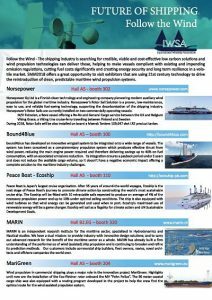 MariGreen, Ecoship, Bound4Blue, Norsepower & MARIN – more details in Flyer and postings below. IWSA Secretary will make a presentation on the development of wind propulsion and the potential for fuel savings in the fleet, along with small vessel developments and projects. MTCC Caribbean is one of the five Maritime Technology Cooperation Centres established and funded by the EU and implemented by the IMO. IWSA is supporting the development of these centres as a member of the Global MTCC Network (GMN) stakeholder advisory committee at the IMO. Looking forward to meeting IWSA members and supporters for a day of discussion, strategy and sharing a vision of a sustainable, wind powered future for shipping. 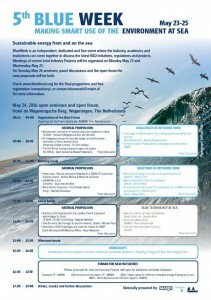 Contact secretary@wind-ship.org if you would like to attend. 15 May – IMO 70 Forum – IWSA Secretary attending IMO 70 year forum, discussion panels on the role and vision for the IMO at 70 years and the upcoming challenges. IWSA Member, Diane Gilpin, CEO of the Smart Green Shipping Alliance on the panel of experts. IWSA looks forward to contributing to IMO MEPC and other GHG deliberations and will work with the industry on developing the tool box of wind propulsion solutions as a key component in the decarbonisation of the shipping industry. We will also continue to engage the shipping industry, regulators an the wider supply/logistics chain in creating a profitable, truly sustainable shipping fleet that is fit for purpose in the 21st Century. 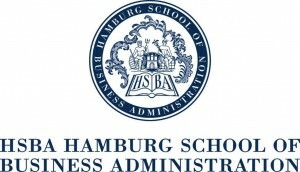 15 May – Education Program – IWSA Presentation & Discussion with post graduate students from Hamburg School of Business Administation. 08 May – World Wind Energy Association AGM – IWSA Secretary General was warmly welcomed to the WWEA Annual General Meeting, WWEA represents hundreds of organisations around the world promoting wind energy and IWSA will be collaborating closely with the WWEA on developing and scaling the commercial wind propulsion in shipping sector. We look forward to welcoming WWEA Secretary general Stefan Gsanger to our AGM on 29th May in Rotterdam. 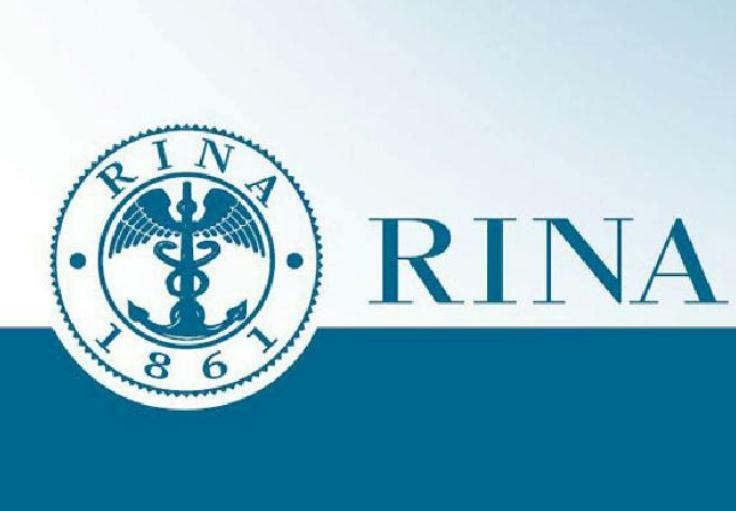 19 April – RINA presentation at Newcastle University (UK) – IWSA secretary presenting and discussing developments in commercial wind propulsion with RINA chapter in NE England. Specific focus on recent Flettner rotor and Rotor sail installations along with pipeline of projects and innovations in other technology streams. 12 April – Global MTCC Network event and meetings at the IMO. IWSA is working with the 5 centres to provide information on wind-assist and primary wind propulsion technologies and we are looking forward to further developing those ties. 09-13 April – IMO MEPC72 – IWSA Secretary attending MEPC 72 delibrations on substantial and urgent CO2 emission reductions. IWSA is supporting ambitious targets and wind propulsion provides an important part of the toolbox of technology that can decarbonise the sector. 23 March – WMU seminar given by IWSA Secretary on wind propulsion and sustainability in shipping along with ITM power on Hydrogen. Pleased to announce that the Ambition 1.5oC: Global Shipping’s Action Plan summit, held in Bonn on 13 Nov, 2017, has been shortlisted for the Green4Sea Initiative Award 2018. IWSA was instrumental in co-ordinating this important event along with other co-organisers, LR, MAN Diesel Turbo, MARIKO, Rightship, Danish Shipping and Green Ship of the Future, supported by the Sustainable Shipping Initiative (SSI 2040), Carbon War Room and UMAS. The CMA program this year focuses on the critical commercial demands of the industry from finance to disruptive business practices along with vital human and environmental elements so critical to profits and illustrative of the values vital to best practices. This CMA is dedicated to providing the shipping community with insight into what is happening, access to the people and tools that are transforming the industry and the confidence to take action. There is current business intelligence from subject matter experts for every part of the industry. Location and date/time to be confirmed – all IWSA members and supporters welcome! 15 January – 3rd IWSA Europe Atlantique group meeting – excellent presentations from the Nantes Saint Nazaire Port, Avel Vor, Neoline and Zéphyr & Borée along with further discussions on the development of the wind propulsion hub and nominations for the steering committee. If you wish to get involved and participate (though presentation of projects, proposal for new JIP or EU initiatives) in any of the below areas then complete and submit the proposal form. Hosted by Danish EcoCouncil at the Clarion Hotel, arrival terminal in Copenhagen Airport. At COP 21 in Paris, the parties agreed to limit global temperature increase to max. 2 °C above pre-industrial times and pursue efforts to limit it to 1.5 °C. The Paris Agreement will require a significant decrease in use of fossil fuels. Is this compatible with the expected significant increase in shipping? Is low carbon shipping possible and what are the costs and the connected consequences? 20-21 November – Bremen Sustainable Shipping Conference – Bremer Konferenz für Nachhaltigkeit in der Schifffahrt – Sustainable Shipping – IWSA presentation on the contribution of wind propulsion technologies to sustainable shipping & CO2 reduction. 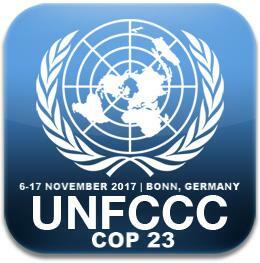 COP23 delegates, including many decision-makers from governments, international organizations and NGOs. The two main main topics will be full renewable energy supply and decentralization as an important characteristic of such RE supply. There will be a focus on transport solutions as part of the program and IWSA is proud to be an official supporter of this event. 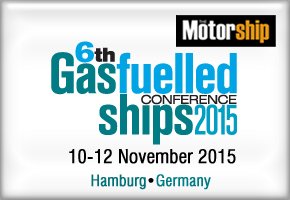 08 November – RINA Conference, Power & Propulsion Alternatives on the 8th November at EUROPORT, Rotterdam, Netherlands. IWSA wind propulsion paper presentation – update on developments in the sector and pathways forward. 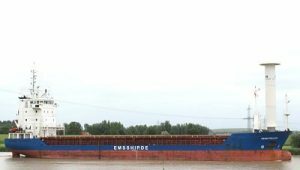 23-24 October – The Sail Cargo Network (SCN) team, supported by IWSA, will meet in Emden, North Germany at the EU Dualports conference to discuss the development of the North Sea sailing cargo network, progress and the pilot project for 2018. Contact IWSA Secretary secretary@wind-ship.org for discount details for IWSA members. 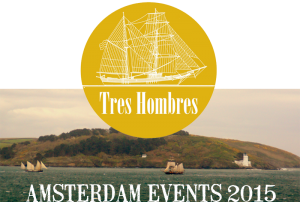 This will be held in Amsterdam this year, supported by the Port of Amsterdam, providing decision makers from the port community – port authorities, terminal operators, shipping lines, logistics operators – with a meeting place to both learn about and discuss the latest in sustainable development and environmental practice to enable them to effectively implement the changes needed to reduce their carbon footprint and to be more sensitive to environmental considerations. The Congress aims to highlight innovations in equipment and technology to allow port users to adhere to policy, whilst illustrating practical solutions through case studies from the global logistics chain. With the ongoing increase in numbers of passengers enjoying cruises, the GreenPort Cruise Conference provides a platform from which cruise terminal operators and other cruise stakeholders, including city representatives and cruise lines, can meet to discuss the many environmental issues surrounding this expanding industry. IWSA association partner – Contact IWSA Secretarysecretary@wind-ship.org for discount details for IWSA members. 03-07 July MEPC71 proceedings at IMO. IWSA representative attending the week long discussions, with a strong focus on pushing forward with the decarbonisation agenda, HFO use restrictions in the Arctic and other issues. The growing momentum on the decarbonisation agenda will lead to a very interesting year, as the industry chooses whether to move ahead with ambituous plans to aim at a significant contribution in line with a 1.5C target and the subsequent urgent and deep cuts that will be required. MEPC72 in April 2018 will be an important meeting, but a lot of work to do before that date. IWSA is an Official Supporter of the conference taking place in Amsterdam on 6-8 June. 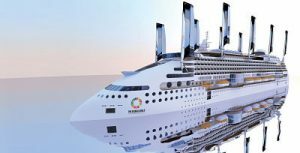 The only international conference on Hybrid & Electric Ship Technology: Dramatically reduce CO2 emissions and cut fuel costs – if you are interested in hearing about the latest technology, the latest projects, and speaking to industry leaders, you must attend the conference. Click Here to view the full programme – Over 50 Speakers, PLUS Meet Almost 200 Exhibitors. Building or retrofitting vessels fit for the future, whatever it may hold, is more challenging than ever before. Environmental regulations, economic pressures and technological advances are already reshaping how the global merchant fleet is fuelled, powered and equipped. In light of these challenges, the 39th Motorship Propulsion & Emission Conference brings together owners/operators and equipment manufacturers to discuss technical advances and in-the-field experiences that will equip the industry to ‘future-proof’ the global merchant fleet. IWSA members recieve additional 10% discount for bookings or you can contact: secretary(at)wind-ship.org to arrange that. 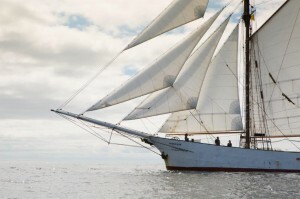 22 April – Timbercoast‘s S/V Avontuur has it’s arrival party in Bremen today, bringing 20 tons of coffee from the Caribbean. We wish you and your family a very happy Easter Holiday and we trust you will find all the chocolate eggs on the Easter hunt! 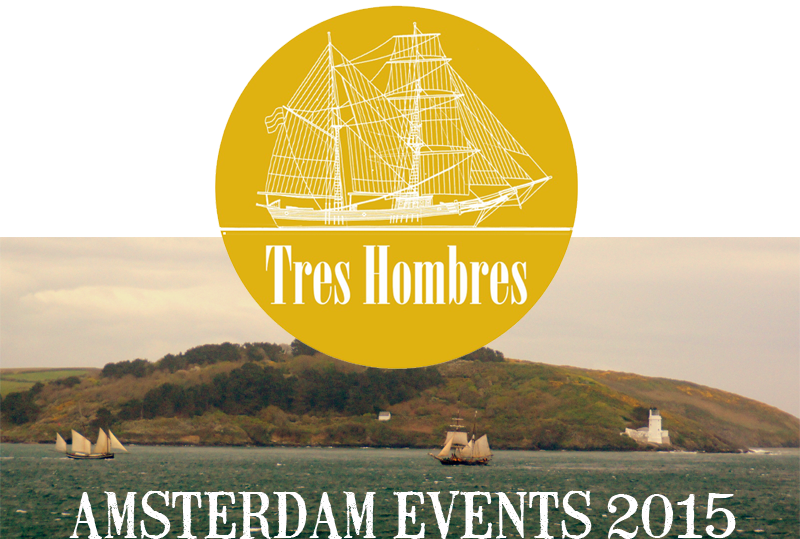 We invite you to join us for the AVONTUUR Arrival Festival in either Bremen on April 22nd or in Eslfleth on April 29th. Saturday, April 22nd at the Bremen Europahafen – Konsul-Schmidt-Str. 10 join us in celebration of World Earth Day. 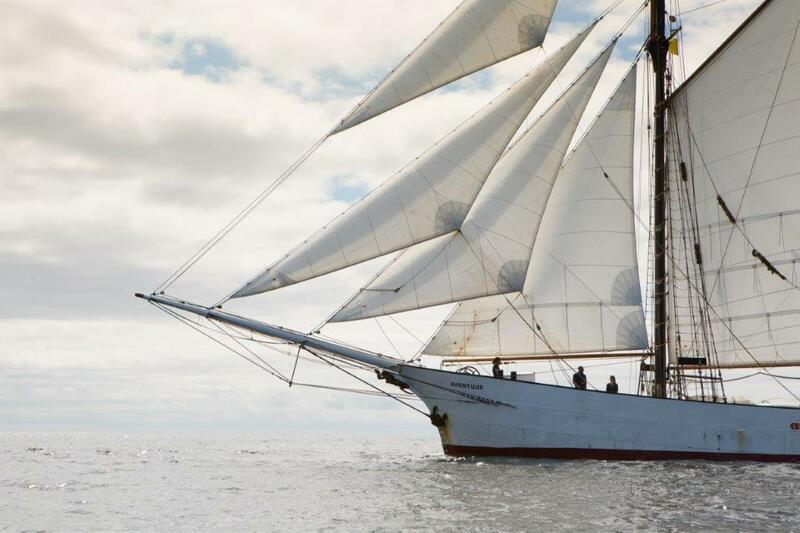 Organic coffee transported between continents by wind, the sailing cargo ship the AVONTUUR will arrive in Bremen on Earth Day 2017 signalling a fundamental shift towards a truly sustainable shipping culture. What better way to wake people up to the lackluster approach of the shipping industry towards global warming than through a cup of coffee? Germany is the largest coffee importer in the European Union and Bremen is the city at the centre of the trade. Within Germany, the shipping of this daily ritual emits over 160,000 tons of CO2 per year which equivalent to 35,000 passenger vehicles be driven for one year. In cooperation with EU Dual Port Project, IWSA and BREMEN BIKE IT. Linneaus University/Maritime Academy, Kalmar, Sweden Greening Maritime Transport – IWSA Secretary lecture and seminar – EU Vasco de Gama program. Discussing Sustainable Shipping and Wind Propulsion Technology, innovation and uptake in particular. Focused on where the technology and the industry are going in the coming decade. The challenges & interactions that the wind shipping industry faces when dealing with the industry, regulators, ports, transport consumers etc. The goals of the IWSA and the steps that need to be taken to reach a more sustainable future in commercial shipping. Over 400 industry professionals will gather at the co-located Shipping2030 Europe and Green Ship Technology conferences to explore innovations and improvements for environmental excellence, get up to date with new regulatory developments and explore how technology will shape the future of shipping. 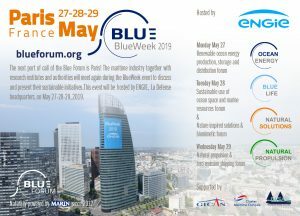 Events will dig deep into the key industry issues and devise innovative solutions to real business problems that can be implemented now, covering everything from smart ships, connectivity, big data, ballast water management and sulphur cap through to policy updates, new disruptive technologies and the future. IWSA members can save 15%! Simply use promotional code MPFKT3287IWSA on the basket page during registration or visit https://goo.gl/VK9YVk. 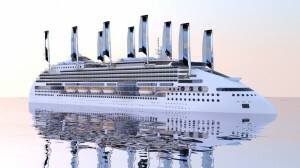 • What strategies can be developed for affordable, scalable solutions to reduce the CO2 output of maritime industries? • How can the diverse community of vessel owners and operators best collaborate with each other, with other key industry sectors (e.g. the fuel industry), and with the IMO to achieve practical, implementable CO2 reduction? • How can shipping industry, other vessel owners/operators, shippers, consumers, financial organisations, regulators and other stakeholders best align interests and efforts to reduce CO2 from vessels? 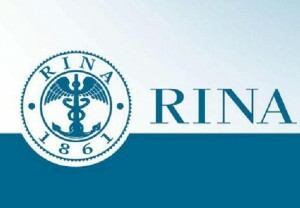 The conference will be held at the Royal Institution of Naval Architects, RINA HQ, 8 -9 Northumberland Street, London, WC2N 5DA, UK. 17-18 Nov Blue Sky Over the Sea? The International conference “BLUE SKY OVER THE SEA? (Air quality and emissions reduction from shipping – with regional focus on Baltic and North Seas)” organised by the German Environment Agency (Umweltbundesamt – UBA) will focus on the current status of air quality in the marine environment, reduction measures in the shipping sector, future air quality scenarios and needed measures. International conference discussing the issues around LNG and alternative fuels. IWSA official supporting organisation. 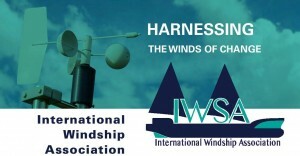 IWSA members should contact secretary@wind-ship.org to discuss discounts for the conference. 24-28 Oct – IWSA attending IMO MEPC 70, London.Discussions on the shipping industries ‘Fair share’ of CO2 emissions. 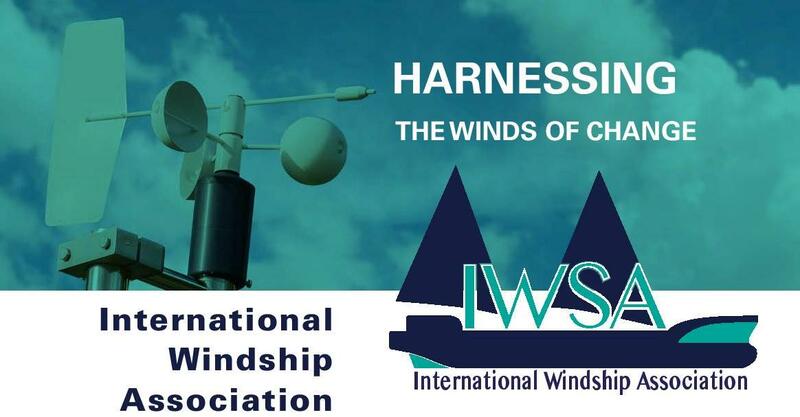 IWSA is an official supporting organisation for this conference and IWSA members should contact secretary@wind-ship.org to discuss discounts for the congress. Peace Boat Ecoship Project to present at Green Port Cruise 11 Oct. 1330-1515 Ecoship – an alternative futuristic approach – Andres Molina, Project Manager. SMM is the world’s leading maritime trade fair, last year it welcomed 50,000 visitors from 108 nations. 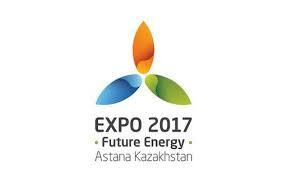 With 2,141 exhibitors from 67 countries. We have also arranged a presentation area close to the IWSA booth, that will be operating throughout the 4 day event, with over twenty presentations, panel discussions, networking events and more – details to follow shortly. 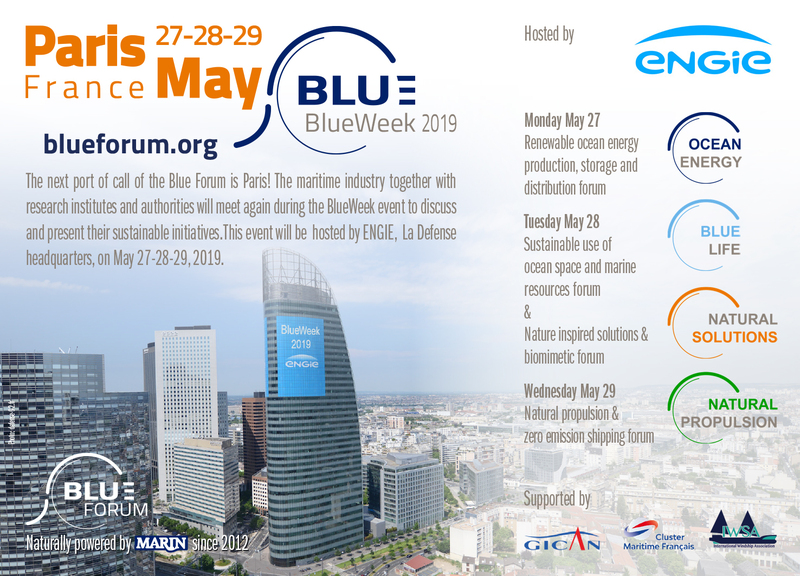 IWSA Meeting as part of Blueweek – bringing together members, associates and supporters to discuss IWSA programs, work stream development and networking. The 2016 Conference, the 38th in the series, will be held on 11-12 May 2016 in Hamburg and will give insight into the latest in engine and propeller design and maintenance. The ever present need to lower costs and improve efficiency, together with latest fuel options and updates on ECA Compliance and roundtable discussions will all be included on the programme, the call for papers will be released in summer 2015. 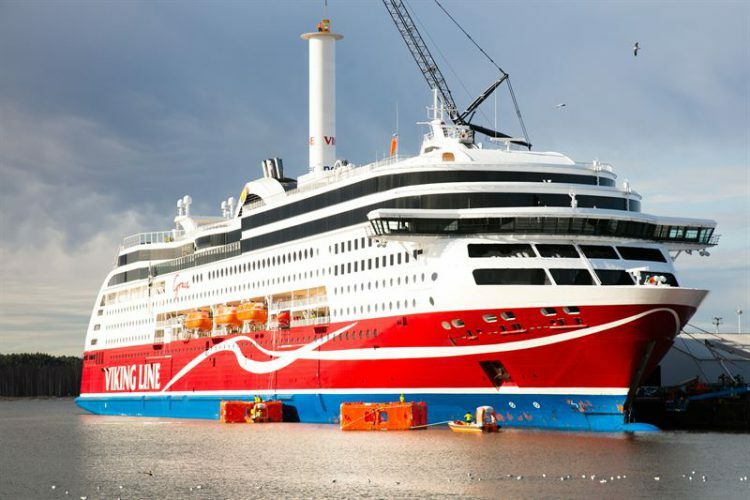 Linneaus University/Maritime Academy, Kalmar, Sweden Greening Maritime Transport – lecture and seminar – EU Vasco de Gama program The windship innovations that have led up to this point, and where the technology is expected to take us in the next 5, 10, 20 years. The challenges/interactions that the wind shipping industry faces when dealing with the industry, regulators, ports, transport consumers etc. The goals of the IWSA and the steps that need to be taken to reach a more sustainable future in commercial shipping. Join the international shipping community at the Connecticut MaritimeAssociation’s 31st Annual Shipping Conference and Exhibition. CMA Shipping 2016 continues a tradition of bringing 2,500 of the best and the brightest from the international shipping community together in North America’s leading commercial shipping center, for three days of businessand market oriented activity and superb networking. The CMA represents all facets of the international shipping industry and wehave worked to create conference sessions that have direct relevance to allaspects of the shipping and trade markets. These sessions are best associated with the goal of delivering immediate commercial, technical, regulatory or strategic value to the industry and its global participants. The bottom-line is to give you information to trade on, grow from, planwith and use, today – from the people who are leading the way. 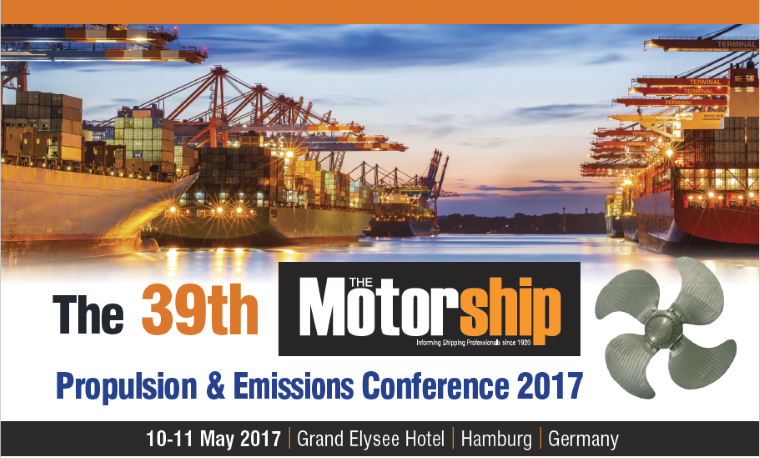 IWSA secretary will be moderating innovation panel discussion at the biggest environmental shipping event in the industry calendar. IWSA will be participating in the World Climate Summit on Sunday, bringing sustainable shipping & logistics and the case for wind propulsion and renewable energy development within the shipping industry. World Climate Ltd is partnering with Sustainia, a leading global sustainability think tank, in coordinating the 6th annual World Climate Summit. Together, they will organise the most impactful conference and awards show during the UNFCCC COP21, by bringing the top 100 sustainability solutions, and convening 500 business, finance, and government leaders and celebrities during a weekend of solutions for our climate. In recent decades, human activity has impacted climate and natural environment all over our planet. 90 per cent of the world’s traded goods are seaborne and shipping is today the most energy-efficient mode of transportation. As the largest and most important means of global, intercontinental transport, shipping has a strong responsibility for ensuring sustainable development and a healthy environment. Climate change is a global challenge, and shipping wants to take part in the important discussions on climate change mitigation. The industry is committed to reducing its CO2 footprint and is working to improve its climate performance. 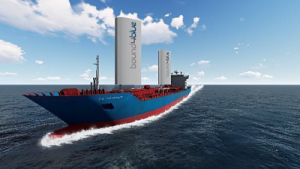 Portsmouth University – Sustainable shipping and Wind propulsion presentation & seminar. We will hold this year’s AGM in Copenhagen on 06 October. 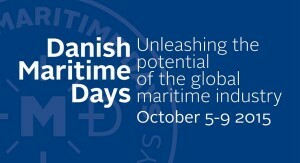 This coincides with Danish Maritime Week 05-09 October and the day before the Greenport conference (07-09 Oct) which IWSA is a supporting organisation. 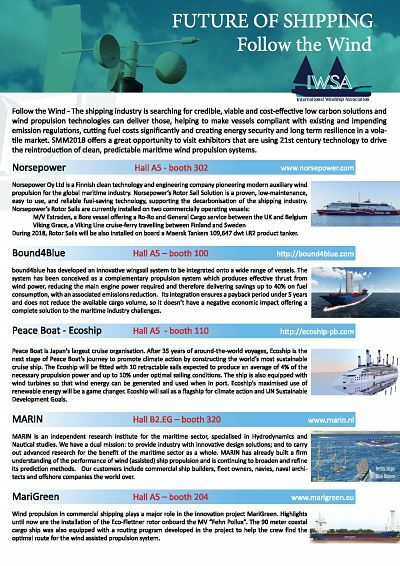 Please contact Gavin on secretary@wind-ship.org if you would like to attend any of the sessions. The 10th GreenPort Congress will provide decision makers from the port community – port authorities, terminal operators, shipping lines, logistics operators – with a meeting place to both learn about and discuss the latest in sustainable development and environmental practice to enable them to effectively implement the changes needed to reduce their carbon footprint and to be more sensitive to environmental considerations. Congress will highlight the innovations in equipment and technology to allow port users to adhere to policy, whilst illustrating practical solutions through case studies from the global logistics chain. IWSA members will be presenting and attending at many of the events during this week including the Interferry Conference 05-06 October and the Greenport Conference 07-09 October as an official supporting organisation. We will also be holding our annual general meeting in Copenhagen on 06 October. Come visit the IWSA booth at the event to be held at the Queen Elizabeth II Conference Centre – we look forward to seeing you there. Contact IWSA Secretary for further information and member discounts. ISWA has been selected as one of five finalists for this prestigous award hosted by Lloyds Register. The Award winners will be announced during the Ship Efficiency conference on 09 September as part of London International Shipping Week. Please contact the IWSA secretary for further details and member discounts. 11-15 May 2015 International Maritime Organisation Marine Environment Protection Committee (MEPC) 68 proceedings. 11-15 May – International Maritime Orgnaisation (IMO) – IWSA will be attending the Marine Environment Protection Committee (MEPC) 68 proceedings. SAIL Conference 22-23 April – In partnership with Blueweek. 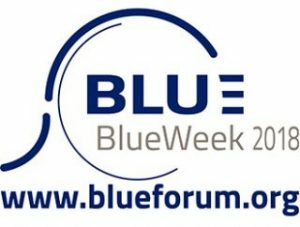 We will hold our annual conference in partnership with MARIN’s Blueweek and the S@IL Conference. IWSA members will be presenting at both the Natural Propulsion seminar and the S@IL public event and we will hold a facilitated discussion/activity to explore pathways towards commercial hybrid sail. 22 April (AM) – S@IL Conference – IWSA members presenting – PACE-SD (USP), Wind Challenger + Joint IWSA/S@IL discussion of Future of Hybrid Sail. 22 April (PM) – IWSA Event – IWSA update, member & sponsor presentations. This year the focus will be on the development of key work streams and work groups will be held on policy, technical standards, finance, communications and market transformation. 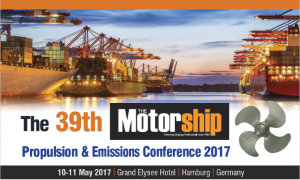 The 37th Motorship Propulsion & Emissions Conference, the most informative and longest established technical conference on marine technology and legislation. Contact Gavin Allwright: secretary@wind-ship.org for further details and information on IWSA member discounts. 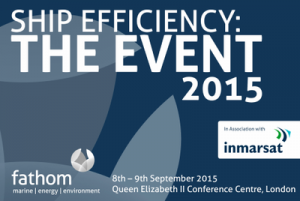 Europe’s largest Green Ship Technology gathering! Join 350+ green ship technology professionals for top level content, conversations and collaboration. You will gain global insight on innovation in sustainable ship design and energy sources, energy management and vessel efficiency, retrofitting, business strategies and growth drivers. They will be expert perspectives from 100+ senior shipping industry speakers on achieving sustainable shipping including Stena AB, V Ships (Germany) GmBH, European Commission and Maersk Maritime Technology. Shipowners and operator attend for free, please contact georgina.charnley-smith@informa.com for further details. Plus don’t miss out on The Future of Emissions Controls for Shipping summit, 10 March, as well as the GST Performance Monitoring seminar, 13 March. The 8th annual GST gala dinner and awards will also take place on 11 March. For more information, please visit: www.informamaritimeevents.com/FKT2743IWSWL. Quote VIP code: FKT2743IWSWL for a 20% discount. The Intermodal Asia 2015 Exhibition and conference will once again welcome the global container, transport and logistics industry’s leading names, providing the most important meeting point of the year for any intermodal professional. Following the fantastic success of the inaugural event last year, Intermodal Asia 2015 will bring you even more opportunities for business. Visiting the show will enable you to see and source new technologies and products, do business, network with your peers and discuss, debate and explore the future of the industry, not only in this region but globally. 26 March (11:30-12:15) IWSA Presentation – Commercial Wind Propulsion: A credible future for shipping or merely sailing against the wind. 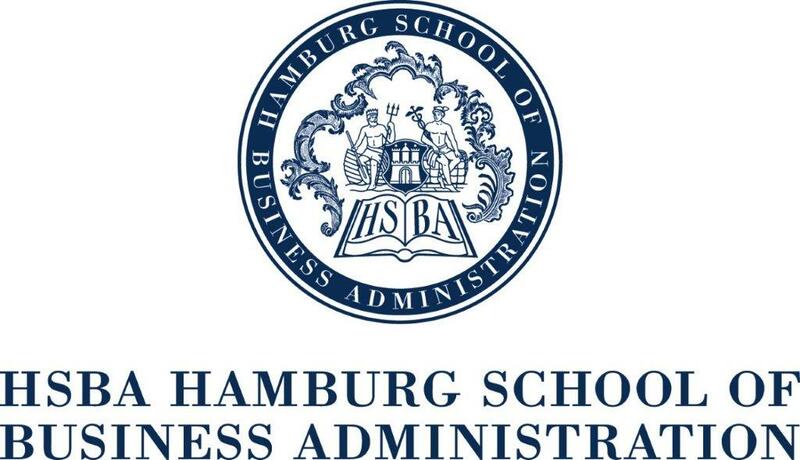 26 March (10:30-12:00, 13:00-17:00) Linneaus University/Maritime Academy, Kalmar, Sweden “Propulsion Towards the Future: Powers and Plights of the Wind Shipping Industry.” lecture and seminar – EU Vasco de Gama program The windship innovations that have led up to this point, and where the technology is expected to take us in the next 5, 10, 20 years. The challenges/interactions that the wind shipping industry faces when dealing with the industry, regulators, ports, transport consumers etc. The goals of the IWSA and the steps that need to be taken to reach a more sustainable future in commercial shipping.